brainstorm ideas for the second Women of the World Festival, to be held March 9th-11th at the Southbank Centre in London. 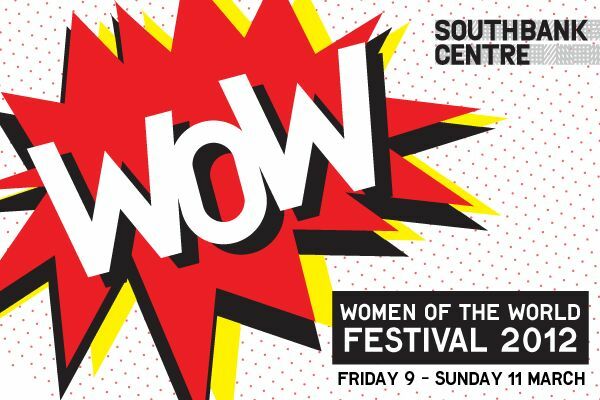 This was one of a series of 3 ‘think-ins’ facilitated by Jude Kelly, Artistic Director of the Southbank, to find out what women (and men) wanted to talk about, explore and debate during the 3 days of events, and how. My group was comprised of around 30 women and a couple of men of different ages, colours, nationalities, parents and not. Effort had evidently gone in to attract a diverse crowd. The session was very well facilitated and long enough to really explore people’s ideas and thoughts without feeling rushed or cut off. What started with a focus on what we wanted to see during the event slowly turned into a sort of confessional, with each person taking a few minutes or more to share with the group an insight into gender equality personal to them. It was powerful and inspiring to listen to the stories of strangers and a group bond formed during the three hours in the room. It had such an effect that one thing we decided we wanted to see was a space during the festival for such a session where people could listen, hear and share their personal reflections and journeys. The programme for the festival has just been emailed through to me, and is up on their website. It will be added to over the coming weeks, but already I can see a few ideas formed in our ‘think in’ have made it in. I don’t think I’ve ever participated in devising the content and form of an event that I have nothing to do with organising before, and I loved it! I thought it was a really great way to plan an event, and generate a buzz around it. It’s made me even more excited about attending what promises to be an exhilarating and inspiring 3 days of debates, discussion, music, art and feminist activism. Check it out and go along! And in the meantime think about ways to get your audiences involved before and not only during your events…. < Intuition – a guide for facilitators	> Just because I'm paranoid doesn't mean…..